Atlantis is named after RV Atlantis, a two-masted sailing ship that operated as the primary research vessel for the Woods Hole Oceanographic Institution from 1930 to 1966. The 460-ton ketch carried a crew of 17 and had room for 5 scientists. The former RV Atlantis is now commissioned as an oceanographic research vessel in the Argentine Naval Prefecture under the name Dr. Bernardo Houssay and finishing a lengthy period of restoration. 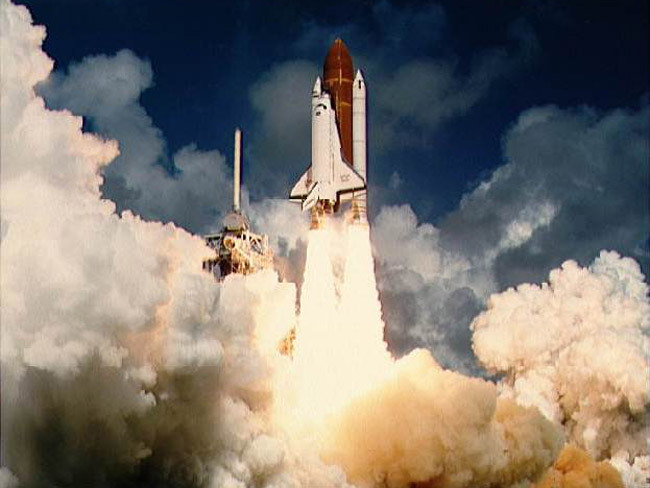 Space Shuttle Atlantis lifted off on its maiden voyage on October 3, 1985, on mission STS-51-J, the second dedicated Department of Defense flight. It flew one other mission, STS-61-B, the second night launch in the shuttle program, before the Space Shuttle Challenger disaster temporarily grounded the shuttle fleet in 1986. Atlantis was used for ten flights between 1988 and 1992. Two of these, both flown in 1989, deployed the planetary probes Magellan to Venus (on STS-30) and Galileo to Jupiter (on STS-34). 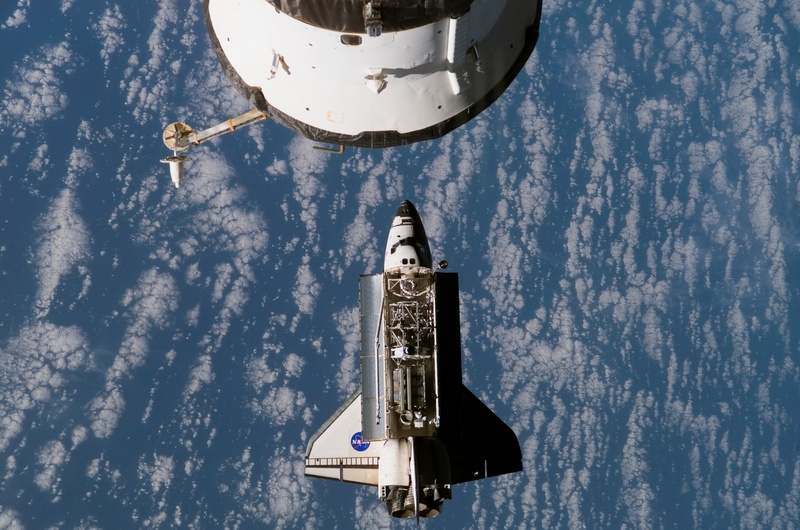 With STS-30 Atlantis became the first shuttle to launch an interplanetary probe. During another mission, STS-37 flown in 1991, Atlantis deployed the Compton Gamma Ray Observatory. Beginning in 1995 with STS-71, Atlantis made seven straight flights to the former Russian space station Mir as part of the Shuttle-Mir Program. 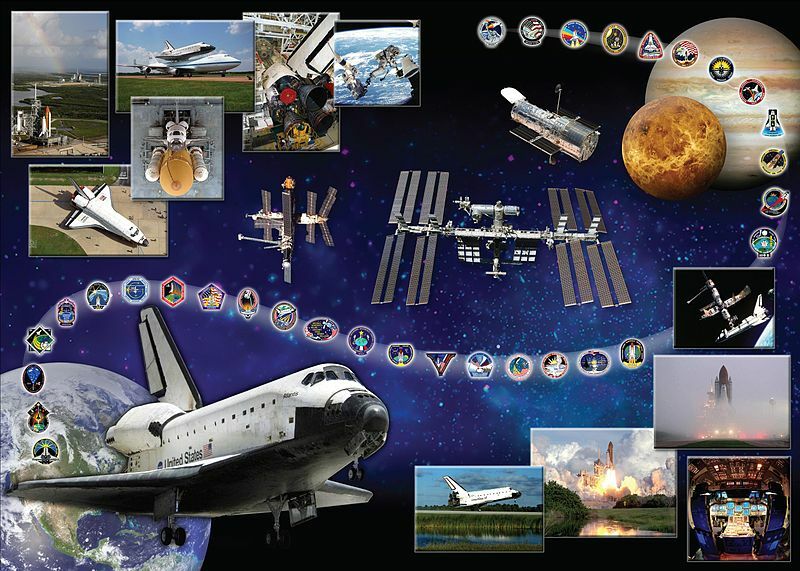 STS-71 marked a number of historic firsts in human spaceflight: 100th U.S. manned space flight; first U.S. shuttle-Russian Space Station Mir docking and joint on-orbit operations; and first on-orbit change out of shuttle crew. When linked, Atlantis and Mir together formed the largest spacecraft in orbit at the time. Shuttle Atlantis has also delivered several vital components for the construction of the International Space Station (ISS). During the February 2001 mission STS-98 to the ISS, Atlantis delivered the Destiny Module, the primary operating facility for U.S. research payloads aboard the ISS. 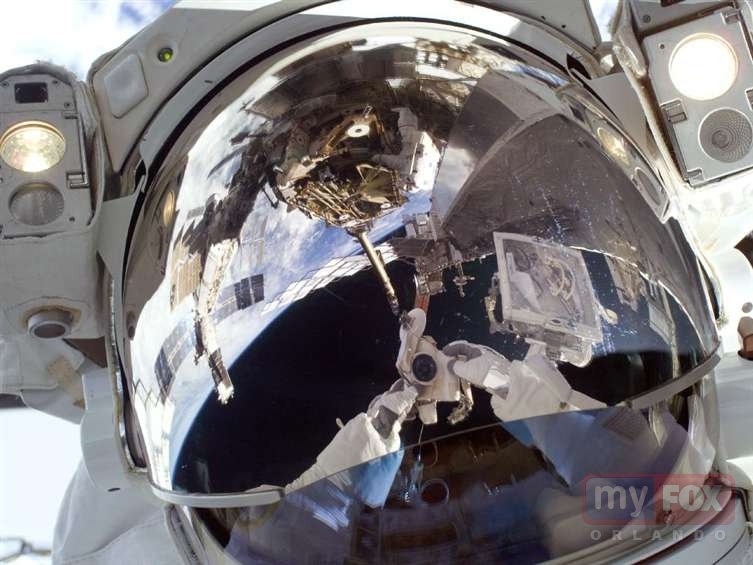 The five-hour 25 minute third spacewalk performed by astronauts Robert Curbeam and Thomas Jones during STS-98 marked NASA’s 100th extra vehicular activity in space. The Quest Joint Airlock, was flown and installed to the ISS by Atlantis during the mission STS-104 in July 2001. The successful installation of the airlock gave on-board space station crews the ability to stage repair and maintenance spacewalks outside the ISS using U.S. EMU or Russian Orlan space suits. 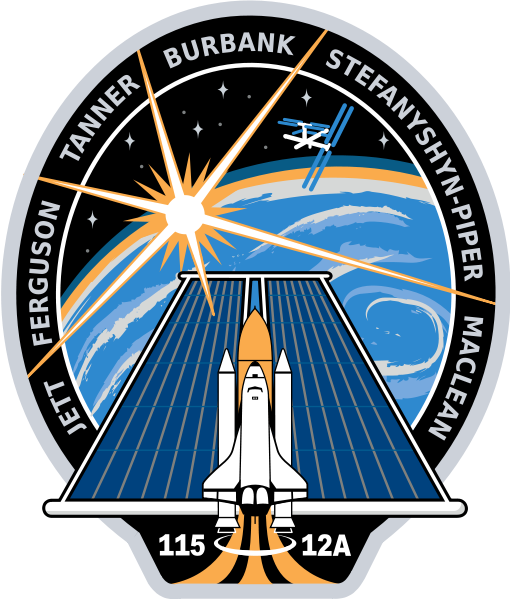 The first mission flown by Atlantis after the Space Shuttle Columbia disaster was STS-115, conducted during September 2006. The mission carried the P3/P4 truss segments and solar arrays to the ISS. On ISS assembly flight STS-122 in February 2008, Atlantis delivered the Columbus laboratory to the ISS. Columbus laboratory is the largest single contribution to the ISS made by the European Space Agency (ESA). In May 2009 Atlantis flew a seven member crew to the Hubble Space Telescope for its Servicing Mission 4, STS-125. The mission was a success, with the crew completing five space walks totaling 37 hours to install new cameras, batteries, a gyroscope and other components to the telescope. Among the five space shuttles flown into space, Atlantis has conducted a subsequent mission in the shortest time after the previous mission when it launched in November, 1985 on STS-61-B, only 50 days after its previous mission, STS-51-J. The longest mission flown using shuttle Atlantis was STS-117 and lasted almost 14 days in June 2007. During STS-117, Atlantis’ crew added a new starboard truss segment and solar array pair (the S3/S4 truss), folded the P6 array in preparation for its relocation and performed four spacewalks. Atlantis was not equipped to take advantage of the Station-to-Shuttle Power Transfer System so missions could not be extended by making use of power provided by ISS. During the STS-129 post-flight interview on 16 November 2009 shuttle launch director Mike Leinbach said that Atlantis officially beat shuttle Discovery on the record low amount of Interim Problem Reports, with a total of just 54 listed since returning from the STS-125. He continued to add “It is due to the team and the hardware processing. They just did a great job. The record will probably never be broken again in the history of the Space Shuttle Program, so congratulations to them”. 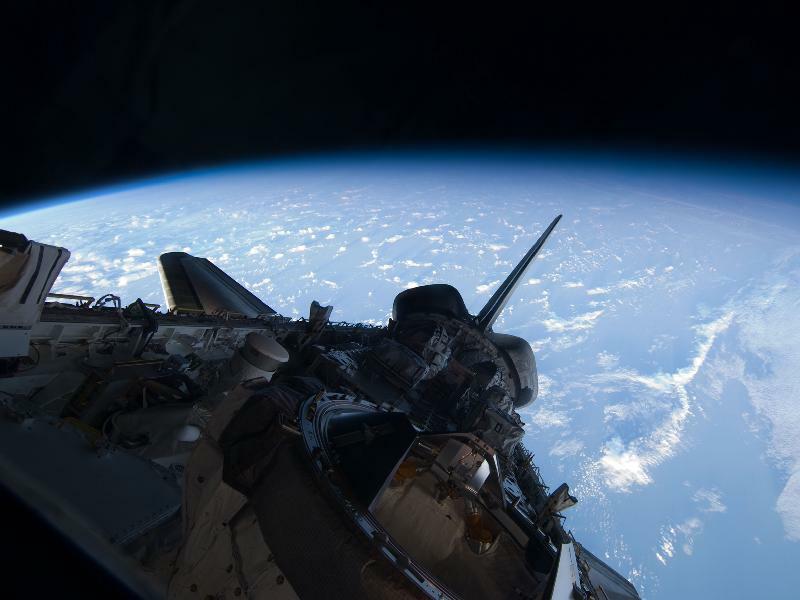 However, during the STS-132 post-launch interview on 14 May 2010, shuttle launch director Mike Leinbach said that Atlantis beat its previous record low amount of Interim Problem Reports, with a total of 46 listed between STS-129 and STS-132. NASA had planned to withdraw Atlantis from service in 2008, as the orbiter would have been due to undergo its third scheduled OMDP. However, because of the final retirement of the shuttle fleet in 2010, this was deemed uneconomic. It was planned that Atlantis would be kept in near flight condition to be used as a parts hulk for Discovery and Endeavour. However, with the significant planned flight schedule up to 2010, the decision was taken to extend the time between OMDPs, allowing Atlantis to be retained for operations. Atlantis has been swapped for one flight of each Discovery and Endeavour in the current flight manifest. Atlantis has completed its last flight, STS-132, prior to the end of the shuttle program. The extension of the Shuttle Program into 2011 has led to Atlantis being manifested to fly STS-135, which is now intended as the final Space Shuttle mission in June 2011. Once Atlantis is finally decommissioned, it will be one of two orbiters to be given as museum donations, the other being Endeavour (Discovery will go to the Steven F. Udvar-Hazy Center of the National Air and Space Museum). 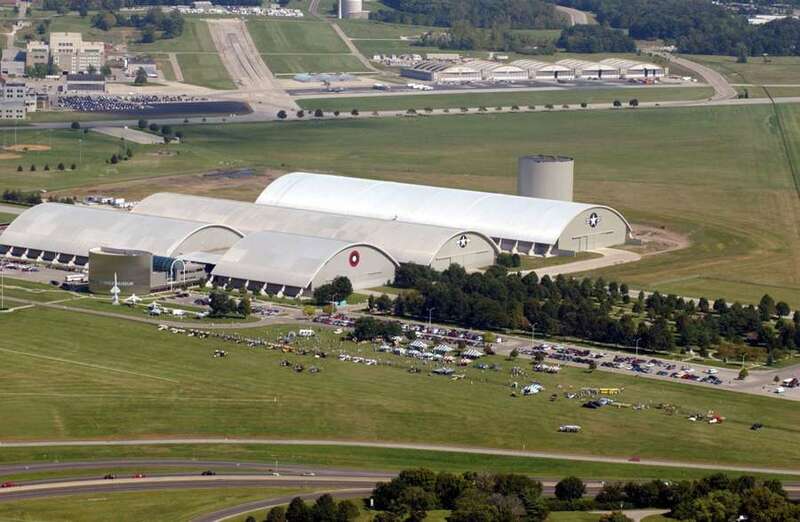 The National Museum of the United States Air Force at Wright-Patterson Air Force Base in Ohio has declared an interest in obtaining an orbiter to exhibit, and is especially keen on securing Atlantis, owing to her history as the main orbiter used for USAF and DoD missions. This is some of the best footage available of the Shuttle missions today. Thanks to the You Tube user of Sal P we get to see the Atlantis and Earth in HD. I can’t say enough about this film, you will be proud of NASA and our country after viewing this. 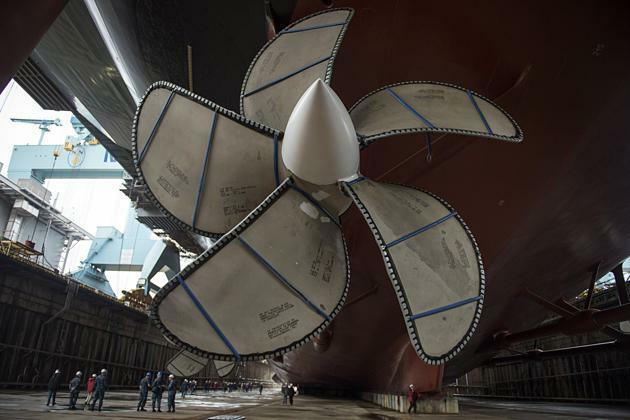 God’s Speed to Whats Right With The Ship, this is a prime example. This entry was posted in History, Nasa, Now Playing and tagged Atlantis, High Definition, Launch, NASA, Space Shuttle. Bookmark the permalink. After watching the Atlantis in HD check out the link above (Aviation Videos) from the first comment on Atlantis. Thanks for taking the time and reading, best of luck to you. In time I’ll have to upgrade my account, better graphics is always a must, lager viewer would be nice and all HD pics. maybe even a new theme. Good operate, It?s posts like this that keep me coming back and exploration this site regularly, thanks for the communication! Thanks for that and glad to have you on board. From your blog Hotel Conova looks like a wonderful getaway, great selection the Veneto Region for a trip. It was all very romantic in the old days when satellites were being launched into orbit. Now they’re all starting to fall on our heads it’s not so great all of a sudden! A 6-ton, 20-year-old US satellite is due to enter the Earth’s atmosphere sometime this morning. I was going to write a similar blog concerning this topic, you beat me to it. You did a nice job! Thanks and I will add your RSS to our blogs. Thanks so much! Can’t write enough on the Shuttle. I want you to have some fun also. The world is a dangerous place in which to live. But will try to do better! I can not WAIT to read much more of this. I mean, you just know so much about this. So significantly of it Ive by no means even thought of. You sure did put a brand new twist on something that Ive heard so significantly about. I dont believe Ive in fact read anything that does this subject as excellent justice as you just did. I was looking at some of your posts on this site and I think this internet site is really informative! Continue posting. Simply wanna state that this is very beneficial , Thanks for taking your time to write this. “We do not attract what we want, But what we are.” by James Allen. What I dont realize is how youre not even more popular than you are now. Youre just so intelligent. You know so much about this subject, made me think about it from so many different angles. Its like men and women arent interested unless it has something to do with Lady Gaga! Your stuffs excellent. Keep it up! Actually thank Wikipedia and this vid. I’ve noted that here, and nice of you to say. I added this write-up to my favorites and program to return to digest a lot more soon. It’s simple to read and realize as well as intelligent. I truly enjoyed my very first read via of this article.